In this demanding environment, law enforcement officers need more than three things to survive notes Martin, director of training for corrections and specialized law enforcement at Milwaukee Area Technical College. Officers also require regular training and reliable gear. During Martin’s tenure at the Greenfield Police Department, which is nestled in a suburb of Milwaukee--an area that holds the distinction as being one of the most violent city’s in the nation, he handled everything from patrol stops to domestic situations to homicides. He also worked at all levels in the department, from patrol officer to detective to motorcycle officer to SWAT team leader. But training has changed a bit in the last three decades, he adds. Though most citizens think very highly of those here to protect and serve, there are also those who express a growing mistrust in police. This fact, and escalating violence across the country, has led to changes in the way officers train, and in the gear, they require. He explains officers once were taught to hold the perimeter till SWAT teams arrived, but now departments expect single officers to run into dangerous situations. Departments once trained for events involving a single suspect, but many now train for situations involving multiple attackers. 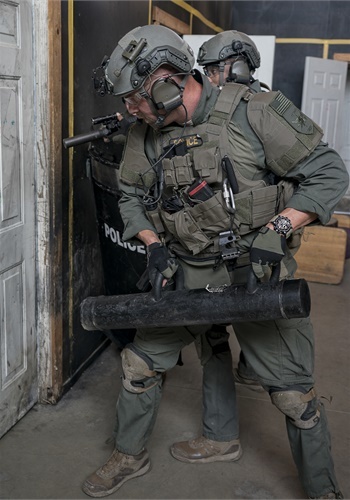 While training in hard skills like defensive tactics, firearms, and less-lethal maneuvers has always existed, departments now supplement this education with training in soft skills like communication, ethical decision making and mediation. And, all are important, stresses Martin. As these changes have occurred, Martin stresses equipment needs have also evolved. Departments now supply officers with bullet-resistant vests, body cams, Tasers, patrol rifles, plate carriers, bullet-resistant helmets, and even medical supplies. With these changes, a few questions arise as officers consider the gear they carry, says Martin. He notes officers should be asking a few key questions before adding any gear, from a gun to a timepiece. 1. Is it necessary? In other words, is it more than just something that is cool to have? Officers are adding more and more gear to their duty belts, their uniforms and on their bodies, they must determine what is or isn’t necessary, Martin says. 2. Does it work? In other words, does it do what it is intended to do? Will it work, even if you haven’t touched it in months? Will it work even if its sits in your pocket or, in the case of a timepiece, on your arm? Will it be ready to use when you are? Is it easy to use? 3. Does it offer the features you really need? How will this equipment enhance your ability to do your job? 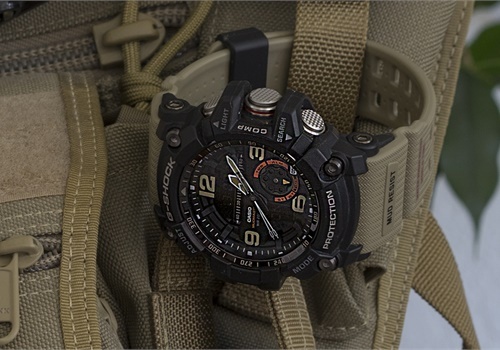 The G-Shock GG1000-1A5 timepiece rises to the task in all areas. 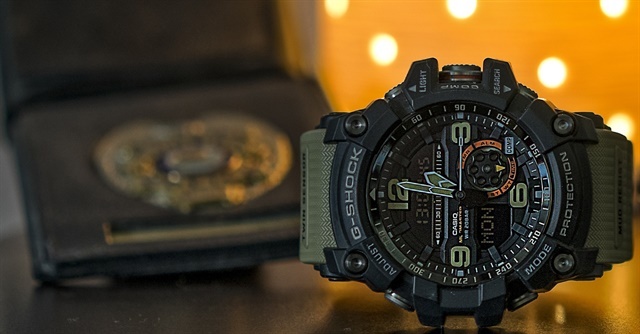 Casio realizes that every officer requires a dependable timepiece, and the G-Shock GG1000-1A5 is that timepiece. This top-of-the-line watch, the latest edition to the company’s Mudmaster series, is the ultimate in tough, durability and reliability, and it meets all of Martin’s recommended equipment requirements. Is it necessary? Timekeeping is a critical aspect of the job. Officers use a timepiece to note everything from the time of a traffic stop to the time it took to complete a required training task. Timepieces are used to check how long an officer’s partner has been gone or how long it took a suspect to answer the door. Does it work? The G-Shock GG1000-1A5 timepiece features a mud-resistant and 200M water-resistant construction to keep it ticking in the harshest of weather, from the side of the road to the tactical shoot house. Its construction keeps water and mud out while maintaining the timepiece’s functionality. It has been designed with multiple gaskets on the pipes, which guide its buttons and shafts to keep rain, water, mud, and sludge from damaging its insides. Does it offer the features you need? The G-Shock GG1000-1A5 timepiece is designed with the law enforcement officer in mind. It has a digital compass to help them navigate new locations, five daily alarms to get them where they need to be on time, a stopwatch to time drills, a thermometer to note temperature and 31 time zones. The timepiece even has oversized, non-slip buttons with a checkered finish for non-slip operation, allowing officers to operate the watch even while wearing gloves. Its large watch face comes in handy in low-lit areas. Seeing the G-Shock GG1000-1A5 timepiece in the dark is made easy with a face that is illuminated by a Super Illuminator for optimum brightness, an auto-LED light and large Arabian numerals at 12, 3, 6 and 9 o’clock. Can it withstand the rigors of law enforcement? Casio realizes that when duty gets tough, officers expect their timepiece to get tougher. The G-Shock GG1000-1A5 timepiece meets these demands with a hollow-structured case, all-directional coating and cushioning material to provide shock resistance. Whether firing weapons at the range, crawling through the gravel in a shoot house or using a ram to gain entry during a SWAT call, this watch will hold up. Though the first four attributes are most important, Casio also understands that officers want their equipment to look nice. For this reason, the G-Shock GG1000-1A5 timepiece offers more than just functionality and durability, it also makes a statement with a sleek professional design. The timepiece has a tactical, sporty look with a band that resembles the texture of a cloth band and commanding hour and minute hands shaped with points to resemble warning markers. In a world where seconds count, officers cannot afford for their timepiece to fail. Casio has worked to ensure its G-Shock GG1000-1A5 timepiece answers “yes” to all of Martin’s questions for gear. Yes, it is necessary. Yes, it works. Yes, it offers the features officers really need. And yes, it can withstand the rigors of law enforcement.